"Dolphin (Dauphin) System "Industry" Development System Serial I/O Daughterboard"
1/2 x 4 x 4 1/2 in. 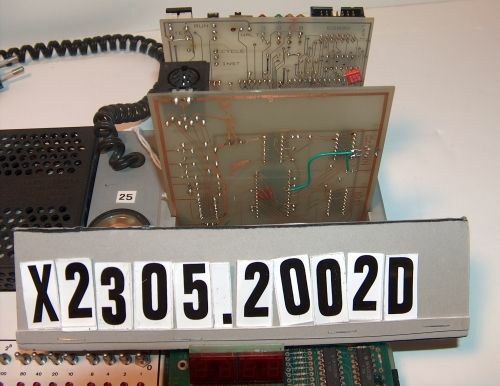 The first Dauphin was a Signetics 2650 system, sold to the members of local electronic clubs. The base included a set of lamps displaying the state of the bus, and it was possible to step through the program. The simplified Mubus 8-bit bus allowed implementation of more than twelve different processors on the Dauphin. 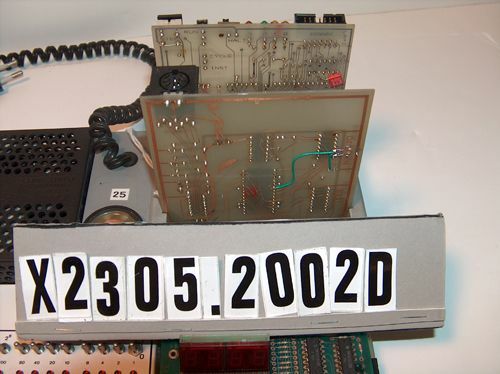 Forty Dauphins with a 68008 processor are still used for two hands-on sessions by EPFL computer science students, to make them understand bus activity and addressing on a microcomputer. Both Dauphin work, and for the 2650, programs can be typed in and executed from the documentation.